Carnaby’s tribute to Queen proves that they can, in fact, do the fandango. Carnaby Street are setting up a new art installation this weekend, and honestly, it’s A Kind of Magic. 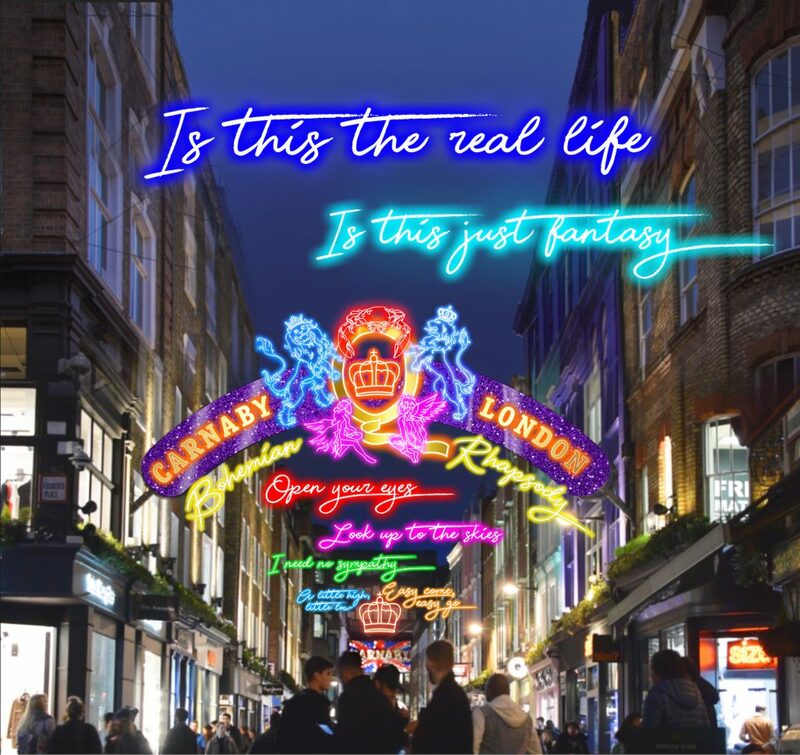 In a neon-heavy tribute to inimitable rock band Queen, the lyrics to Bohemian Rhapsody will be glowing above Carnaby Street from Sunday, October 21st, along with the band’s crest, again resplendent in neon. Truthfully, it’s part tribute, part promotion, as the neons will handily drum up interest in the upcoming Bohemian Rhapsody film. Still, they make a pretty addition to Soho. The big switch-on takes place at 7pm, with Queen’s remaining members, Brian May and Roger Taylor, pushing the plunger in partnership with cast members from the film. The lights will be up throughout October and into the festive season, though they’ll be joined by the requisite Christmas lights, don’t you fret. They aren’t the only Queen-related addition to Carnaby either, as a pop-up shop and exhibition will open on October 18th, featuring photographs, concert footage, and costumes. Madame Tussauds’ Freddie Mercury waxwork is also slated to make an appearance, making this a tribute fit for a Queen. 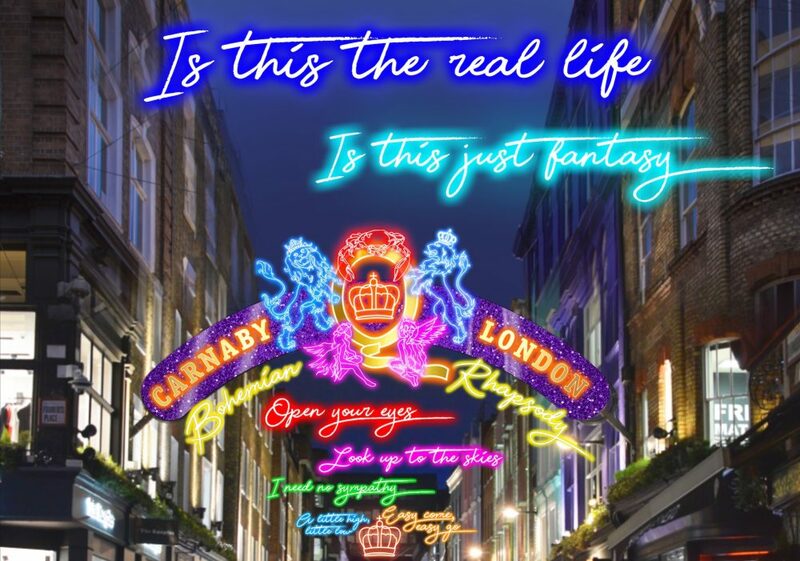 You can see the neons above Carnaby Street from October 21st. Find the pop-up shop at 3 Carnaby Street.